SATURDAY, Feb. 4, 2017 (HealthDay News) -- Be careful when you shovel down those chicken wings as you watch the Super Bowl on Sunday -- a new study finds that if you overeat your favorite team isn't the only one who might choke. 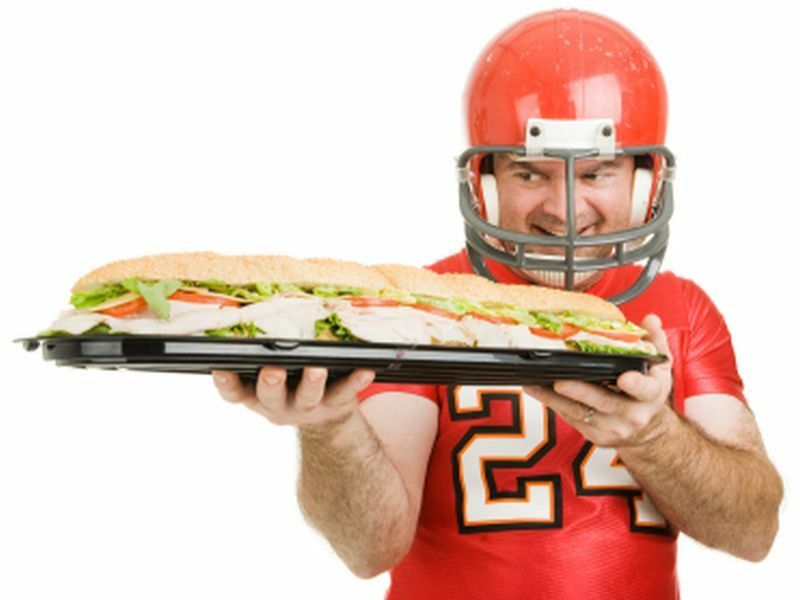 Americans who overeat during national sporting events or holidays are 10 times more likely to require emergency care for food obstruction than at other times of the year, according to a new study. Researchers reviewed 11 years of data (2001-2012) from the emergency room at St. Elizabeth's Medical Center in Boston. During that time, 38 people had an emergency procedure on the esophagus during or within three days of a national sporting event or holiday. Nearly 37 percent of those procedures were due to so-called food impaction. The researchers also looked at 81 people who had the same procedure two weeks before or two weeks after a holiday or major sporting event. Just under 4 percent of those cases were due to food impaction, the research showed. "Though the sample size was small, it's clear that a pattern emerged showing a higher percentage of people seeking treatment during or just after the holiday or event, and a much greater percentage during those times needed help because food was impacted in their esophagus," said study leader Dr. Asim Shuja, a gastroenterologist from University of Florida Health in Jacksonville. "It's a very serious problem that people need to be aware of," he said in a university news release. During holidays and national sporting events, meats seem to create the biggest risk. The most common impacted food was turkey (50 percent), followed by chicken (29 percent) and beef (21 percent), the study found. Men were most likely to be affected, researchers said. Other risk factors included serving size, how quickly people ate and alcohol consumption, according to the study. "We think the main message here is for people to be aware and not to, for lack of a better term, overindulge. Not only the amount of food you're eating during the holiday or event, but the size of the portion you're eating can have a tremendous impact," Shuja said. The study was published in the journal Gastroenterology Report.